This stretch of coastline offers visitors the best of both worlds: basking at pristine white rock beaches or hiking coastal trails completely immersed in nature. 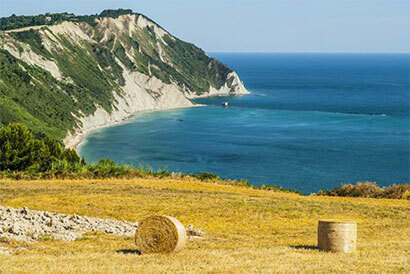 At 572 metres, the mountain provides travellers amazing views of picturesque limestone cliffs that contrast strikingly with the deep blues of the Adriatic Sea. On this eco-friendly walking tour led by a local naturalist you will experience the natural beauty of this stunning area up close, and familiarize yourself with its native species, both plants and wildlife, as well as the unique sites and ancient villages dotting the coastline.